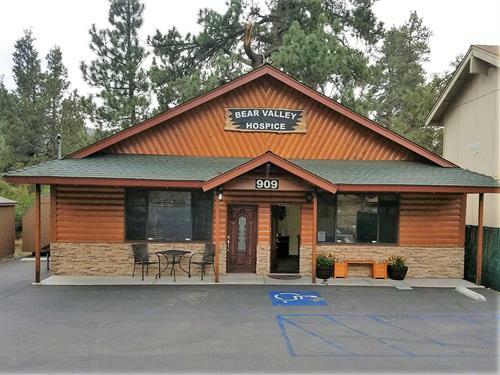 As Big Bear Valley’s first hospice, we hope to serve the community with the same honesty, respect, and compassion that makes these mountains such a special and cherished place. Hospice provides comprehensive support for individuals nearing the end of life and for their families. This support can be provided in their own homes, and all expenses are typically covered by Medicare. If you or someone you love is seeking comfort instead of aggressive treatment near the end of life, hospice may be appropriate for you. 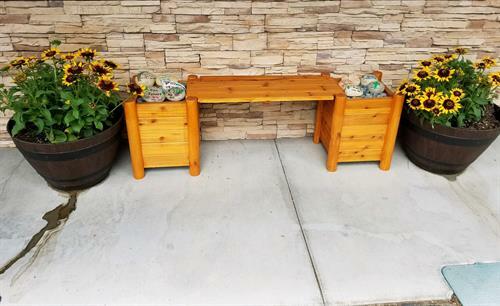 We will strive to keep you comfortable at your residence, providing professional care, equipment, and supplies. Dr. Stewart, the hospice administrator,was raised in Big Bear and recognizes the importance of local service providers. He studied at Point Loma, Loma Linda, and UC Irvine, and served in the medical field with over 14 years experience in hospice. He has provided a team of Registered Nurses, Licensed Vocational Nurses Certified Home Health Aides Social Workers, Chaplains and Volunteers to assist in the care of our patients and to address the needs of our particular patients. 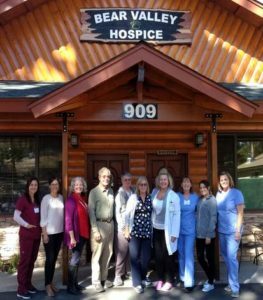 The goal of Bear Valley Hospice is to provide the best care possible for individuals in the mountain community. Through being a small, streamlined team of professionals, we provide timely, personal, and exceptional care without the overhead and distraction of larger corporations. Part of our commitment to the local community includes donating a portion of our income to the community’s non-profit organizations.